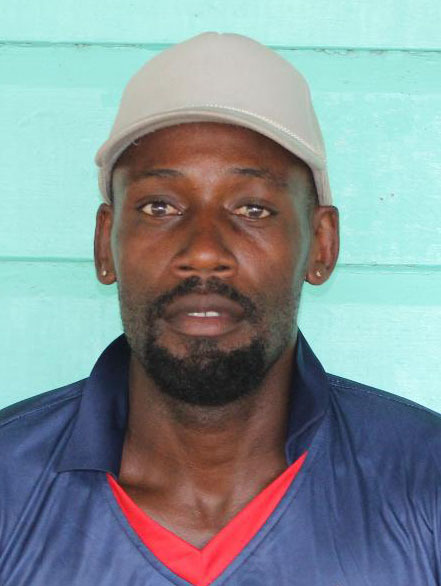 A cracking century from Andrew Lyght Jr, spearheaded a 224-run win for the Police Sports Club (PSC) over Third Class in this weekend’s lone Georgetown Cricket Association (GSA), New Building Society (NBS) second division forty overs contest at PSC, yesterday. PSC who began the day ideally by winning the toss, elected to take the first strike on a decent batting surface, posting a formidable 313 before being dismissed off the final ball of the 40th over. His (Lyght Jr.,) 75-ball 101, headlined the innings, a splendid knock which included 12 fours and three sixes before he departed in the 28th over with the score on 233 – 4. He was involved in a few key partnerships with Reginald Rodrigues (24), Mark Williams (47) and Kyle Michael (25). 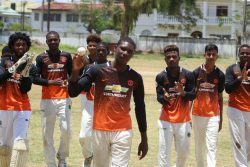 Keon Baily (2-33), Ricardo Ghisiawan (2-29), and Alvin Castello (2-37) ended as the pick of the bowlers for Third Class who were staring down the barrel at the halfway point. 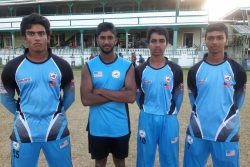 Third Class in response were ‘shot out’ for 89 in the 22nd over as Hemchan Persaud (3-21), Vishal Jaigobin (2-22) and Khankia Ramkarran (2-19) completed Police’s forceful win. Only Samuel Mohabir (22) mustered any resistance for Third Class.